Soak daliya and moong dal together for 1 hour. presser cook with 1 cup of water, salt, turmeric powder for 3 to 4 whistle. Heat oil in kadai, add cumin seeds, curry leaves, green chilli, hing and mix well. Add carrot, onion and cook for 1 to 2 minutes. Add salt, red chilli powder, coriander powder, salt and mix well. Add cooked daliya and mix wellCook for 2 to 3 minutes. 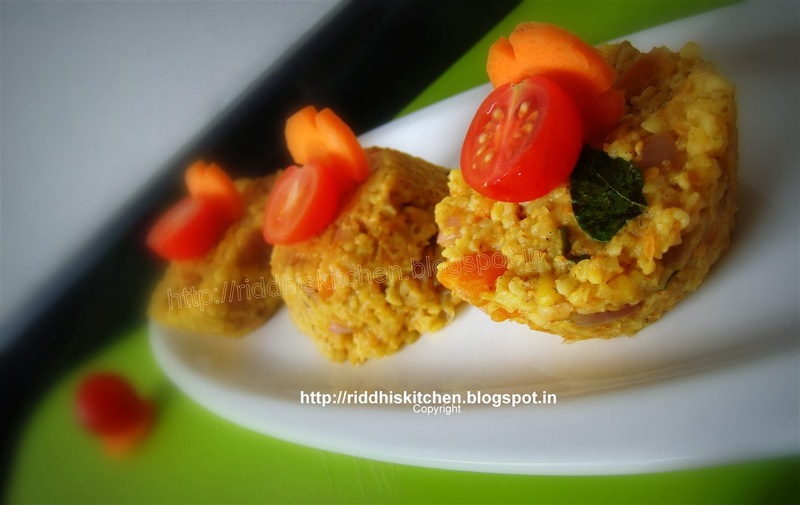 Garnish with carrot slices and cherry tomatoes and serve hot with curd.